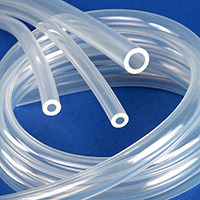 AdvantaSil® Ultra Low Temperature silicone tubing is a unique fluid flow product designed for applications where the tubing material is exposed to extremely low temperatures. 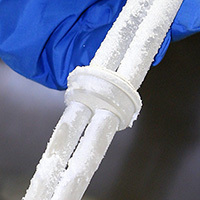 AdvantaSil Ultra Low Temp remains flexible and crush resistant at -112°C — no cracking or loss of integrity. 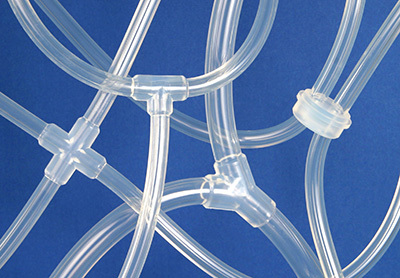 It’s the first tubing of its kind and the optimal choice for applications related to bulk drug storage and transport. AdvantaSil Ultra Low Temp has undergone extensive physical, chemical and biological testing and meets USP Class VI, FDA CFR 177.2600, ISO 10993, and EP 3.1.9 standards. 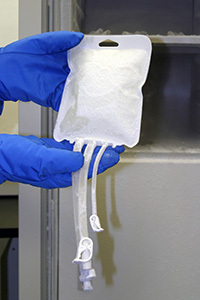 Full BPOG standardized extractables test protocol is in process with a fully-accredited, third-party test lab. 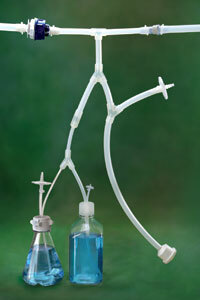 AdvantaSil Ultra Low Temperature tubing is not intended for implantation or continuous steam applications. Sold by standard coil length of 50 ft. only. Add length suffix code ”L” to product number when ordering. Example: 50 ft. of .125 in. I.D. x .250 in. O.D. 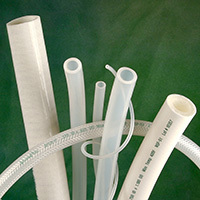 tubing is product number APLT-0125-0250L. Coils are supplied double bagged in heat-sealed polybags and bulk packed. Contact your AdvantaPure Sales Representative for other packaging options.